Home › Human Rights › NIAC Wins Big ‘Payout’ – But Will It Pay Its Dues? 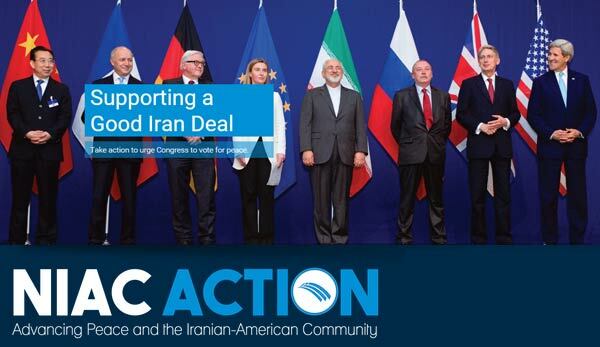 If any good has come of the finalization of the nuclear deal between the P5+1 and Iran, it is the fact that the National Iranian-American Council (NIAC) has come under significantly closer scrutiny. In recent weeks, prominent media outlets have rebuked NIAC for behaving throughout the talks (and after them…) more as a lobby of the Iranian regime than a representative group of Iranian expats in the US, as it claims to be. A few weeks ago, we highlighted The Daily Beast for devoting a lengthy article (written by an anonymous Iranian dissenter) to “The Shady Family Behind America’s Iran Lobby,” in which startling revelations were made about NIAC’s interests, Iran connections, alignment with the Iranian regime, and the prominent business family steering the advocacy group (advocating for Iranian expats – or for the Iranian regime?) behind the scenes. Now it’s another outlet’s turn to be spotlighted – Tablet, an American Jewish online magazine which last month published an in-depth article on NIAC, calling it out for embarking on a “crusade” against AIPAC, with which it is “obsessed”. The article, written by Lee Smith, set out to discover how the “supposedly all-powerful pro-Israel lobby” had lost to NIAC and its “slick operatives,” Trita Parsi chief among them, on the nuclear deal. The conclusion? Parsi, “an immigrant who in classic American fashion” wanted to “reconcile his new home and his birthplace,” had managed to win “a defining battle over the direction of American foreign policy,” paving the way for this long-awaited reconciliation. How, you ask? By aligning NIAC with the White House and using “the specter of the Israel Lobby” to “radically alter” US policy in favor of Iran’s “oppressive authoritarian regime,” despite the lack of popular support in America for it. Why? Smith, like the anonymous contributor of The Daily Beast, concluded that at the end of the day, NIAC’s agenda is economic – brokering business “access” to Iran in exchange for political and material support (access facilitated, in turn, by sanctions relief – and the nuclear deal); with this in mind, Lee writes, NIAC can now expect a “tremendous” payout. ‹ The Iran Nuke Deal Is Done. But Is It A Triumph?